This is the version that is purchased from the Brewfest vendor during July. For the version that comes attached with the Brewfest letter for July, see Stranglethorn Brew. Quaffing this brew has a chance to proc Jungle Madness! The screen will turn a hazy green and angry jungle gnomes will surround your cowering character. 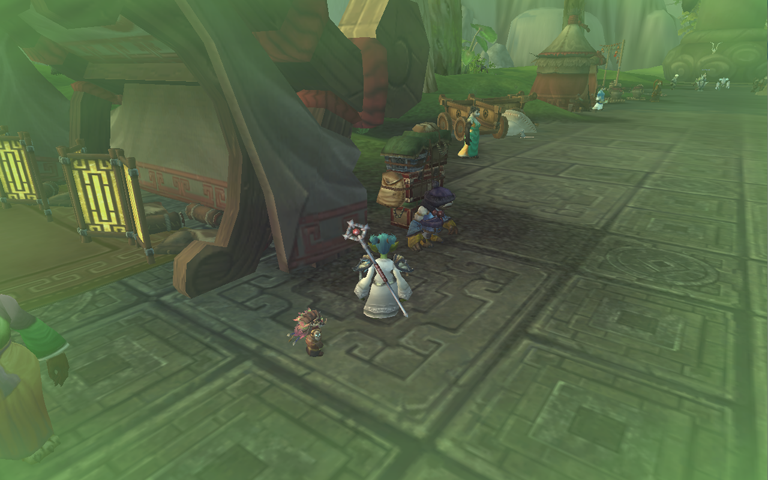 In my screenshot, the little figure slightly behind my goblin is the Angry Jungle Gnome. A bit of matching mood music is also played.